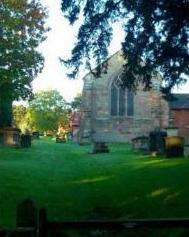 St Andrews’s Church is one of the three parish churches in the Ruyton, Great Ness and Little Ness Benefice, that we call ‘Church around the Cliffe’. We have one vicar, a varied service pattern and a loving congregation. Even though there are three buildings it feels like one church because we attend the services wherever they are, something that we like to call “Travelling Church”. The services for each month are published in a news sheet which is available in the churches, in local shops and here on this website.